Just days after Costco launched a special offer on the Galaxy S9 and S9+, T-Mobile is running a deal on Samsung’s other flagship Android device. You can now save $230 on a Samsung Galaxy Note 8 from T-Mobile. That knocks the full price down to $720, or you can get it for $0 down and $30 per month for 24 months on EIP. T-Mobile is also offering free express two-day shipping with a new activation with the promo code 2DAY. 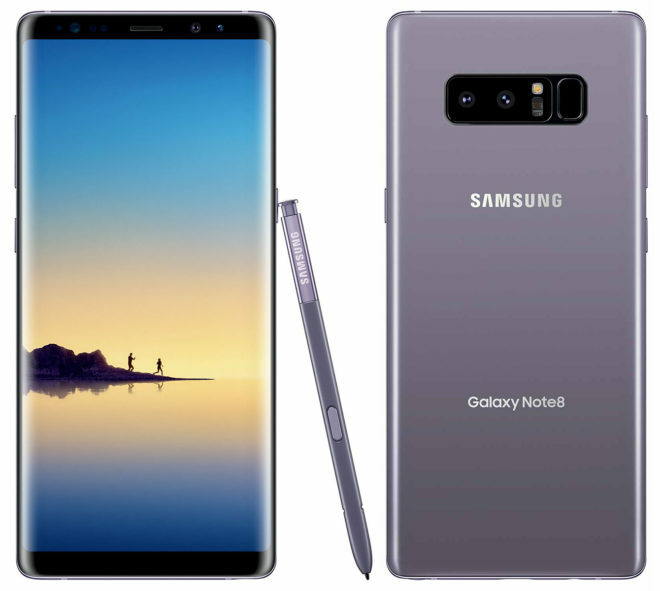 As a refresher, the Galaxy Note 8 features a 6.3-inch 2960×1440 Super AMOLED screen and dual rear 12MP cameras, one wide angle and one telephoto. It’s got a Snapdragon 835 processor inside its IP68 water resistant body along with 6GB of RAM, 64GB of built-in storage, and a microSD card slot. On the software side, it was recently updated to Android 8.0 Oreo. While it may not be quite as new as Samsung’s Galaxy S9 and S9+, the Galaxy Note 8 does still have great specs that’ll serve buyers well. It doesn’t have support for T-Mobile’s new 600MHz LTE coverage, but it does have a screen that’s a smidge larger than the S9+ and an S Pen stylus if those features are important to you. There’s no telling how long this Galaxy Note 8 deal will be available, so if you’re at all interested, you can get a closer look at the T-Mobile link below. Note 9 is just around the corner and you can buy on Mywit for $570 which is the same quality as the insurance and warranty phones. Guess I’m just not excited about it. Except for the pen, the S9+ is thinner+stereo speakers+2 lens. These phones are overpriced period…Always let the pawns go first and buy it later at a cheaper the price it should be at anyways …. Heck no. No bands 71 or 47(laa). And I’m currently maxed out at 64gb. Even for free would be useless. I think this will be the new price for the n-8,like Acdc1a,the n-9 is right around the corner,forget where I read this,n-9 is suppose to be out in June or July. What I don’t understand how the active 8 is still $850. While the s8 is $600. s8+ is eol already with Tmo. Too many flagships,not enough people to buy them perhaps? This what Lg,Samsung gets for following Apple,one point it was every 2 years new phones came out,then 18 months,then once a yr,now every 6months if not sooner. Brand New vz s9 + on swappa for 660. Note 8 even less. You would have to be nuts to pay that premium just to get monthly payments. If you can’t afford it don’t buy it but, THIS IS AMERICA!